What is the "Articles" Section? 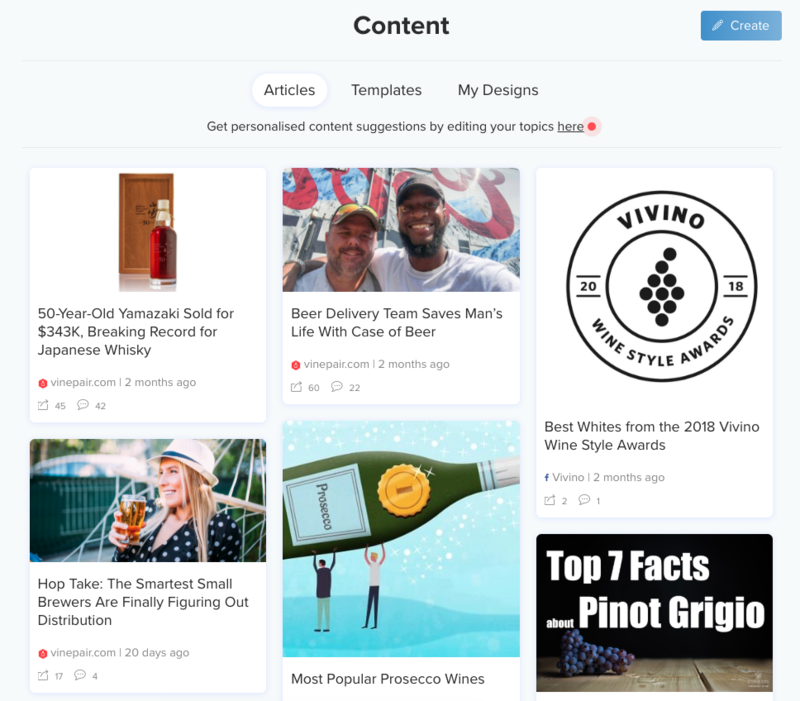 The “Articles” section of your account shows you a variety of articles that you can schedule to post directly to your connected Facebook or Twitter pages. The articles are based on the topics you entered in the initial set-up phase, and can be changed in the "Settings" section of your account. From here, you can remove or add topics so that the articles you see suit your business perfectly!